EXPLORING: Doug Sanders is VP of Mountain Safety Research | MSR. Being a leader in the crowded and competitive outdoor-recreation space would seem accomplishment enough. Founded in 1969 as Mountain Safety Research by Larry Penberthy, MSR (120 employees) reported a record sales year in 2017 with its camping stoves, cookware, shelters, snowshoes and other essential pieces of equipment for exploring the backcountry. 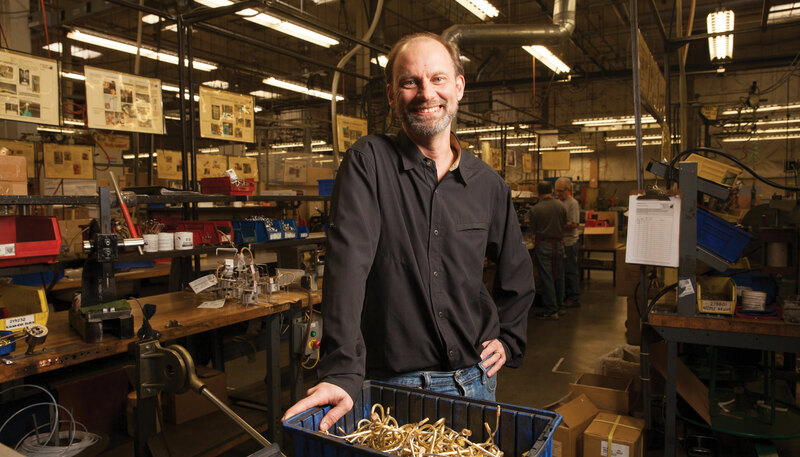 The bulk of MSR’s equipment is made in Seattle, a floor below where its engineers and designers come up with ideas. MSR is also exploring new horizons, applying its expertise in water-filtration devices used in the backcountry to a line of products for its Global Health division. Through products like its Community Chlorine Maker, MSR estimates it brought clean drinking water to 250,000 people. MSR also has ramped up production of water-filtration units to help with hurricane and earthquake relief efforts.